For centuries, men have been dreaming of telepathy, the power to read and influence the minds of others. In The Mind’s Eye, telepaths are finally starting to appear all around the world. Men and women are developing awesome powers with the potential to dramatically change society. Governments are soon starting to become aware of them, even recruiting them, while striving to keep knowledge of their abilities hidden from the general public. Academic researchers too are discovering telepaths and it isn’t long before awareness of their existence starts to spread. But non- telepaths, ordinary people, don’t want to have their minds read or controlled; the telepaths soon find themselves widely regarded with fear and hatred. Inevitably, some of them want to fight back. Like all the best science fiction, this thrilling action adventure also shines a spotlight onto the shortcomings of our own society as well as what being a human really means. The Mind’s Eye is published today by Elsewhen Press in a digital edition in popular eBook formats, available from all good eBook retailers. It will be published in a paperback edition in December 2014. Christopher Nuttall has been planning sci-fi books since he learned to read. Born and raised in Edinburgh, Chris created an alternate history website and eventually graduated to writing full-sized novels. Studying history independently allowed him to develop worlds that hung together and provided a base for storytelling. After graduating from university, Chris started writing full-time. 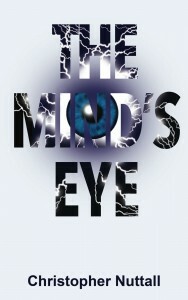 As an indie author he has self-published a number of novels, but The Mind’s Eye is his eight novel to be published by Elsewhen Press. Chris is currently living in Scotland with his wife, muse, and critic Aisha.